Recently, LenoRF, a well-known China electrical accessory manufacturer, has launched a special offer on its SMA Female for PCB. These items can now be purchased at discounted prices, up to 30% off. The company is popular for its range of high quality RF connectors, and especially the SMA RF connectors. These are basically semi precision coaxial RF connectors having an electrical impedance of about fifty ohms. This is not all; these fine quality SMA connectors are being supplied at heavy discounts which make them priced at 50% less than most of the other SMA connectors available in the market. 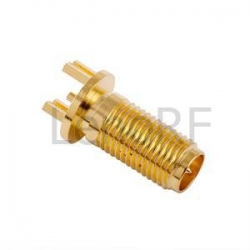 More details about the company’s useful products can be found at http://www.rfcnn.com/SMA-female-Right-angle-through-hole-for-PCB-RF-Connector-141.html.